The governors of North Carolina, South Carolina, Virginia and Maryland have all declared states of emergencies. 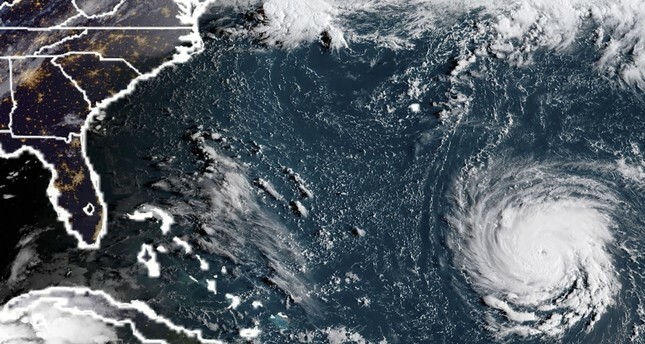 Hurricane Florence could inflict the hardest hurricane punch the Carolinas have seen in more than 60 years. North Carolina has been hit by only one other Category 4 storm since reliable record-keeping began in the 1850s. That was Hurricane Hazel in 1954, which left 19 dead in the state, and 60 more dead in other eastern states. Florence's first effects were already being seen on barrier islands as dangerous rip currents hit beaches and seawater flowed over a state highway. Communities along a stretch of coastline that is vulnerable to rising sea levels due to climate change prepared to evacuate.